They say that the heart of the home is the kitchen, so it’s only fair that the kitchen gets its own section in the home management system. 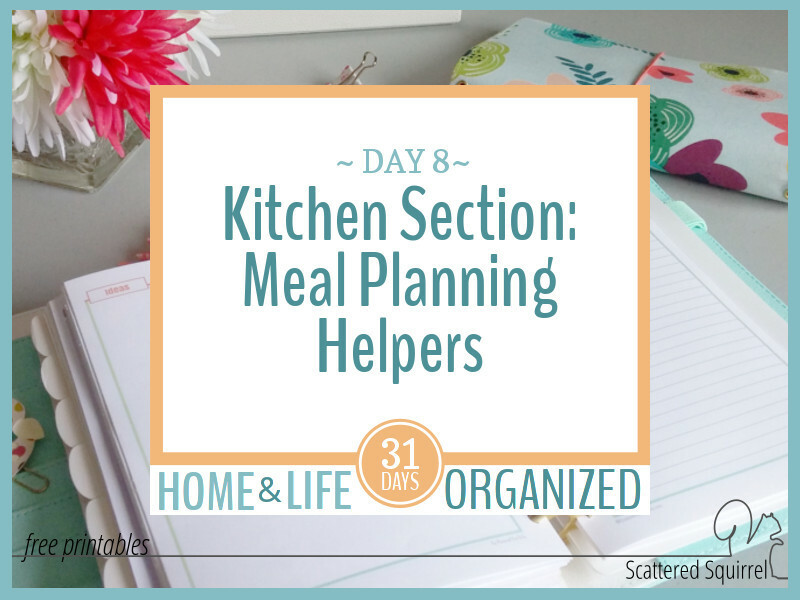 My meal planning and other kitchen related planners and checklists live in my kitchen binder. It makes sense for our family to have this separate from our home management binder. 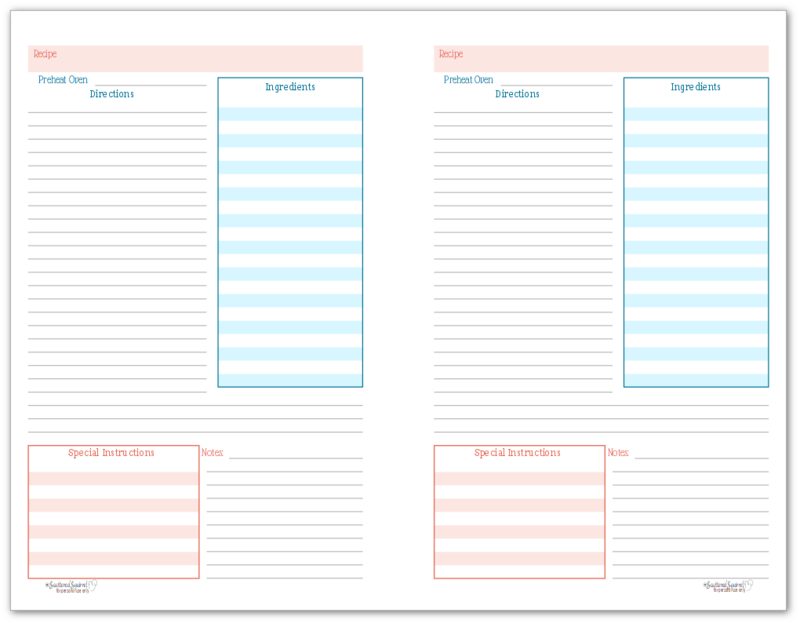 If you prefer to keep everything in one place, you can easily create a meal planning and kitchen management section in your binder or notebook. Without further ado, let’s jump right in with the printables that I lovingly refer to as my meal planning helpers. At the front of my kitchen binder, there are two lists. They’re not fancy; they’re just basic lined paper with recipes written on them. These lists have been in there so long and get used so often that they are fading and the paper is starting to get a little brittle. But these lists are the foundation for all my meal planning. 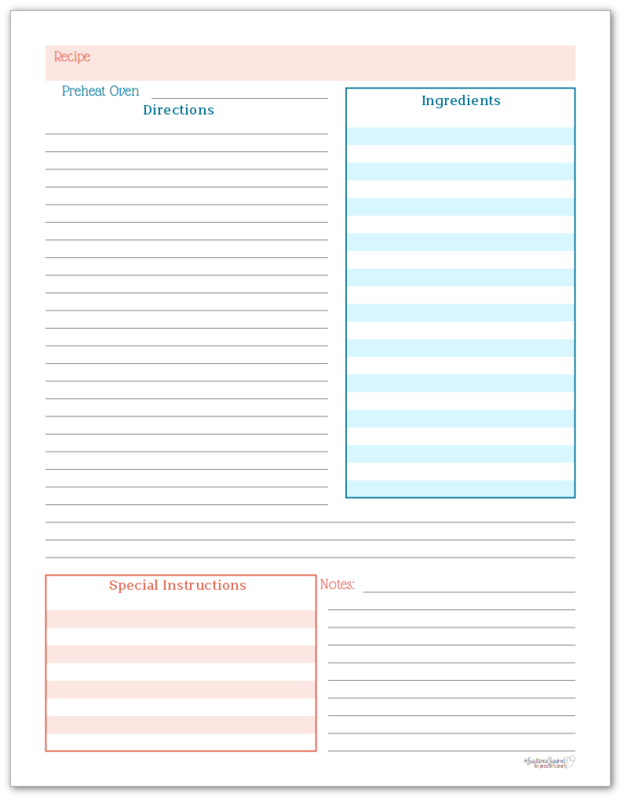 No matter what meal planner I have used in past (check out the Meal Planning and Menu Ideas page to see all my meal planner printables) these lists help me create the plan for our meals. As I was planning this part of the series my mind kept wandering back to those lists. I realized that I needed to update them in some way and what better way than to incorporate them into the kitchen section of the home management system? This is not a new concept. I don’t know where I first got the idea to do this, it was a number of years ago now, but I liked its simplicity. You create a list of tried and tested, family approved meals that you can refer to when working on your meal plan. It makes it really easy to just pick something off the list rather than trying to come up with something on the spot. I’m sure you can tweak this idea to better suit you and your family, but below is the new printable I’m using to keep track of our family’s favourite meals. A few years ago we started making a lot of our own food at home and buying less of the processed stuff from the store. Don’t get me wrong, premade snacks are a wonderful convenience and we still buy some but we also supplement with a lot of our homemade goodies. I created another list for family approved snacks and goodies that can be made at home. Having this list on hand makes it super easy to decide what I’m baking each week (or every other week) and it means that I can be sure to have the ingredients on hand. Again, I’m sure that you can tweak this page to best work for you and your family. Not everyone bakes, but you could still use this to jot down ideas for snacks, breakfasts, or other things that you need to purchase often. 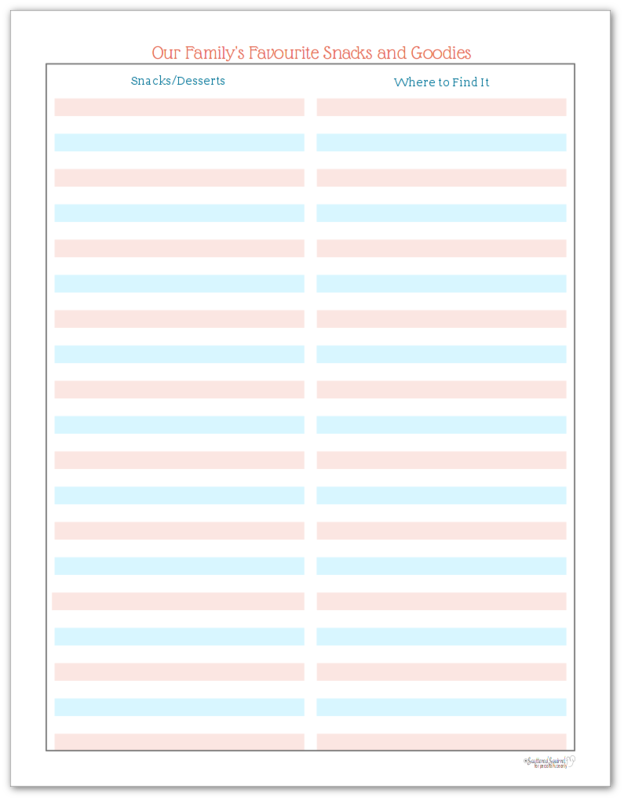 The last of the meal planning helpers is just a recipe page. We tend to print most of the recipes we try straight from the websites but sometimes you can’t print the one you want. Or maybe you’re like me and would like to have all the pages in your recipe book match. 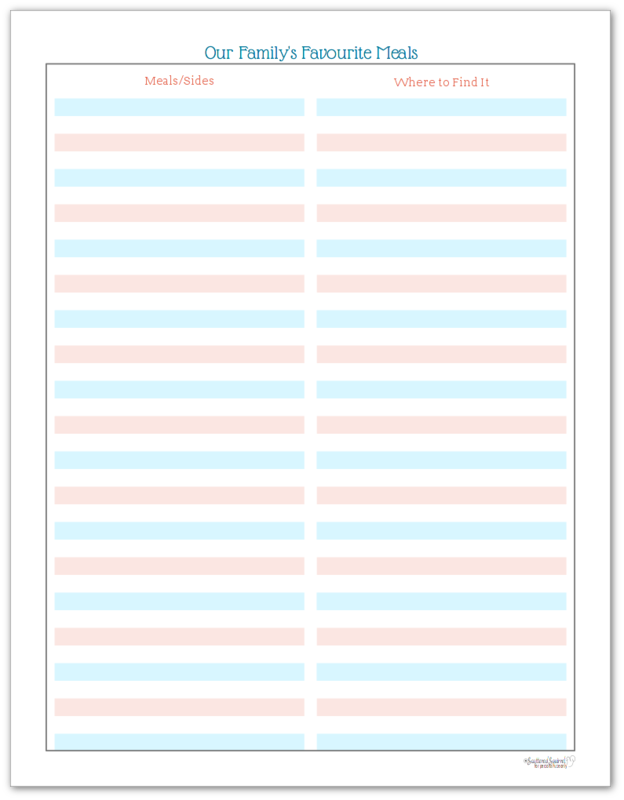 Whatever the case, having some of these recipe sheets on hand to jot down recipes has been a huge help. I’m slowly working at taking all the meal and snack ideas from my lists and putting them onto the recipe pages. That has nothing to do with making meal planning easier, it’s just a little project I’m working on as time allows. 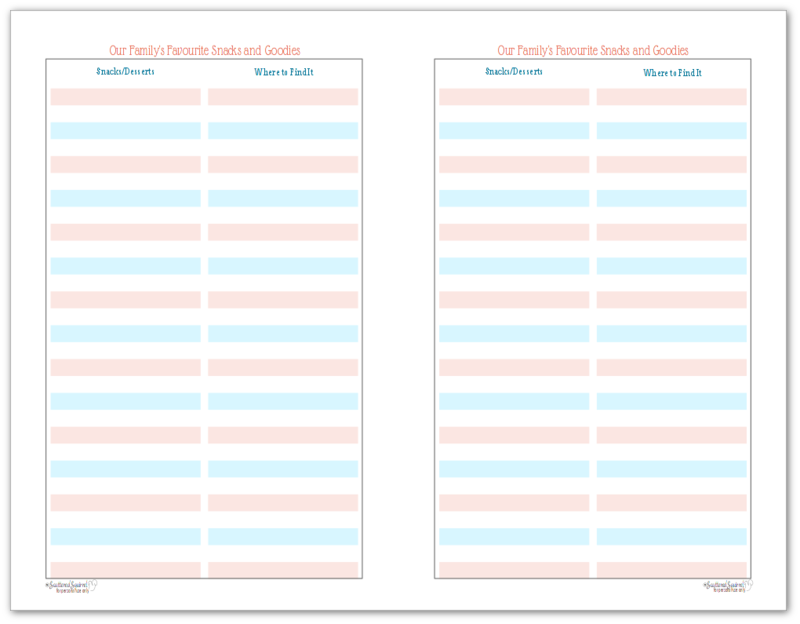 The inspiration for these printables have been my meal planning helpers for a long time now, and they’ve worked really well for us. Anything that stands the test of time and continues to work for you as your needs change is a good thing. I’d love to hear your thoughts on these. What are your meal planning helpers? Do you keep a list of recipes your family loves? What have you found works bet for you? Drop me a line in the comments below and let me know. I’ve tentatively planned the live video for Friday evening, so don’t forget to drop your questions in the Facebook post embedded below or in the comment section of this post. I’ll also be doing a flip through of my home management binder set up (so far) and talking a little bit about how I decide what needs to be included in it. I hope to see you there.